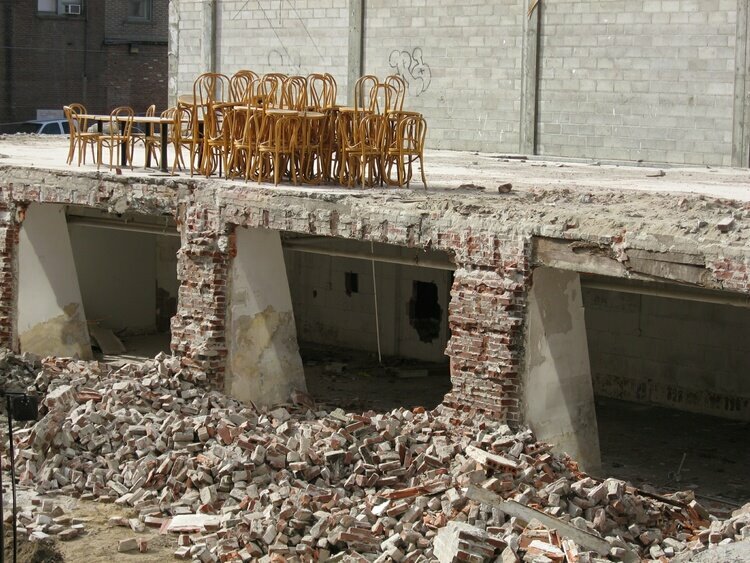 These chairs appear to huddle themselves against the destruction all around them. Or perhaps they are preparing to jump off the edge and make an run for it. I hope their legs hold up.